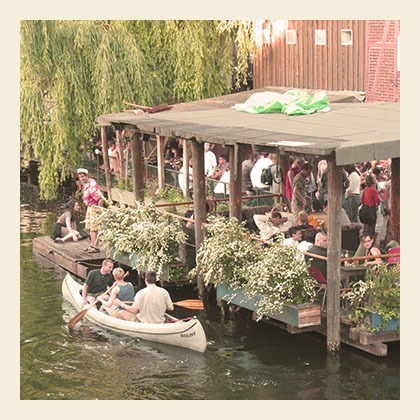 We have listed up some cool events and things to do in Berlin in autumn. Some of the events written about here are totally free of charge, wow! It is just to give you some ideas and inspiration. Sure there is much more to see and do than the top 5 of events and things to do listed here. 1. Oh no, it´s rainy and cold, what to do today? Each of these museums are so cool, you could spent hours exploring them! from the 10th of October Till the 21st, in the city center at night! On Saturday the 3rd of November, the Berlin Neighbourhood Neukölln turns in to a fantastic art festival with loads and loads of nice events taking place at different locations and settings. There are around 100 different locations, where there will be all kinds of different things for you to see. From sculptures to dance performances, from lectures to multimedia-installations! The festivities start at 6pm and last till midnight. there will be an after party at the Villa Neukölln, Hermannstrasse 233.
this is the time of your to party all night long! It doesn´t matter if you sleep in the day after, because it is probably a rainy and cold day anyways! Some cool clubs close by the East Seven Hostel are the White Trash Fast Food, Bassy Cowboy Club and the Kaffee Burger. For more nice suggestions on where to party ask our staff at the reception. And after partying like a madman you should have a big hangover breakfast, of course! For instance at one of my favorite cafe´s in Prenzlauer Berg, Café Hilde. They do fantastic breakfast, serve good strong coffee and it´s nice cozy and warm inside! Located at the Metzer Straße 11, it is just a 5 minutes walk from our hostel. Feel free to come ask us at the reception for more suggestions!